The White House has proposed to transfer oversight of U.S. air traffic control operations from the Federal Aviation Administration to a new nongovernmental, nonprofit entity. A White House news release published Monday says the plan seeks to expand the National Airspace System and address aircraft delays through the implementation of next-generation technology platforms and facilitate the integration of commercial space vehicles and unmanned aerial systems. The Transportation Department’s secretary will oversee the transition of ATC operations to the new independent entity over a three-year period. A board of directors will manage the nongovernmental organization that will operate through the use of fees collected from NAS users. The new ATC institution should provide general aviation users, military and rural communities open access to the country’s airspace, detect and counter cyber threats, recognize existing labor agreements and be allowed to use the spectrum for free. 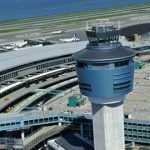 Under the ATC reform plan, President Donald Trump has proposed to move FAA to a “performance-based framework responsible for providing effective oversight of the new ATC entity” and retain regulation of aviation safety under DOT.